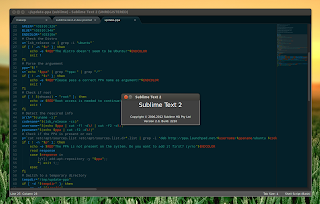 Sublime Text 2 is a cool, TextMate-like text editor that runs on Linux, Windows and Mac OSX. After being in alpha / beta testing for more than a year, the first stable version has finally been released today. 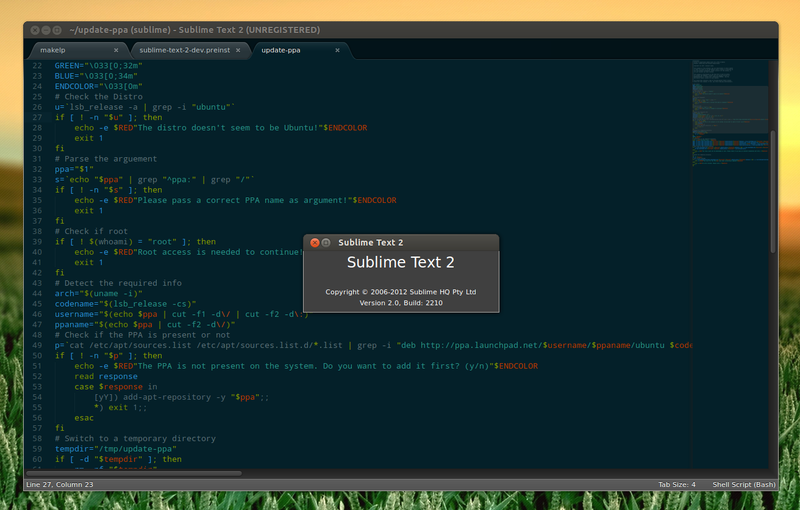 This post is a quick update for those using our Sublime Text 2 Ubuntu PPA: since there are no more Sublime Text 2 beta builds, I've made some changes to the packages and the stable version package name is "sublime-text", while the development package name is now "sublime-text-dev" (I've renamed them to avoid conflicts), however, those who have installed the beta / dev builds and aren't reading this post will still get updates thanks to a meta package (though it's probably better to simply remove any installed Sublime Text 2 packages and install stable or development version using the instructions below). Besides automatic updates, the PPA package comes with a proper desktop file with Unity integration (quicklists and drag'n'drop support), a "subl" command line alias, etc. Note: you can't install both the development and stable packages in the same time. Installing one of them will remove the other one.